Go Above & Beyond With Our Interactive Game Rentals! 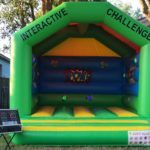 Interactive Game Rentals from Orlando Fun Party Rentals provide the untraditional inflatable experience. 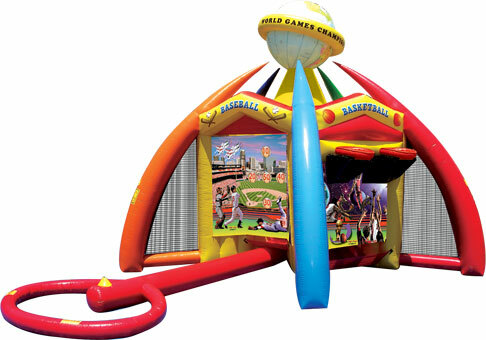 Interactive Inflatable Rentals are the hit of any event, because they present a variety of play options such as competitive play and team building! Look at each of the interactive games listed below for more information on what each rental includes. Orlando Fun Party Rentals is locally owned and operated, and we pride ourselves in amazing customer service and safety! 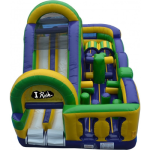 We are licensed and insured to ensure a worry-free inflatable rental experience for all of our customers. Each of our inflatable games are cleaned after every rental, so rest assured that your kids are having fun in a safe and cleanly environment. 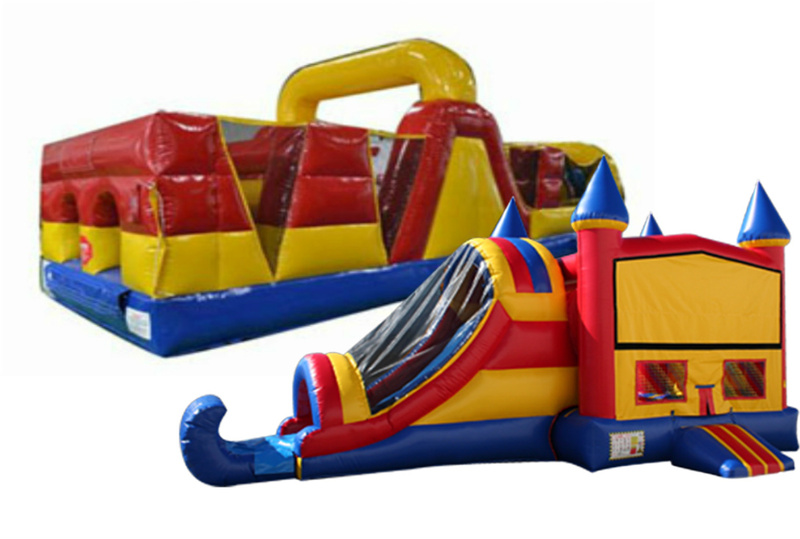 Orlando Fun Party Rentals is located in Orlando, FL, and we service the surrounding areas. 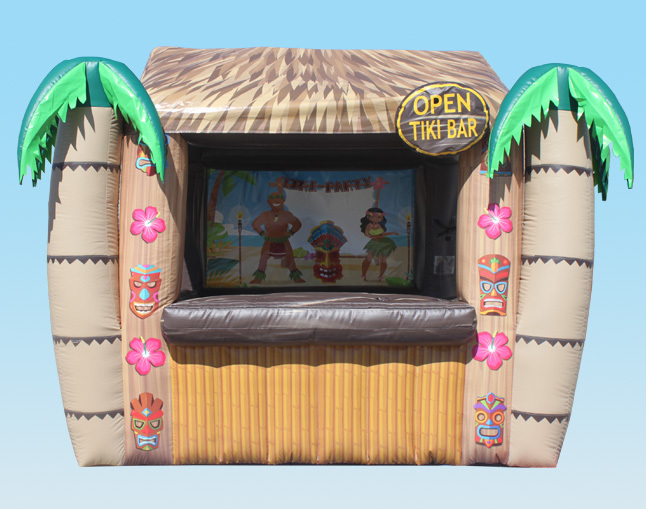 Travel fees may apply, so contact us for more information to set up your interactive inflatable rental today! Aloha!!! This is not your typical bounce house! 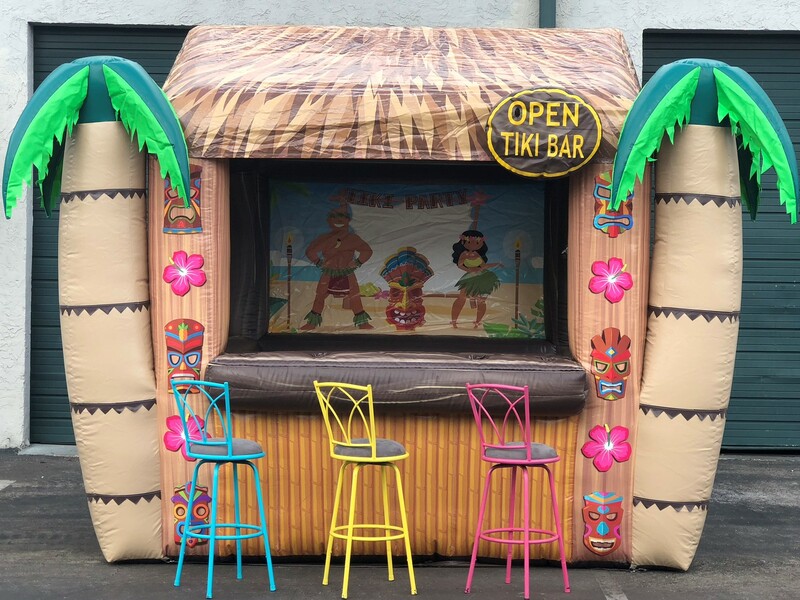 Our brand new Tiki Bar will make the perfect addition to your water slide rental, pool party, luau theme or any event you can think of. Serve beverages and/or food from the bar to complete your event!! Keep the kids refreshed on a hot day or serve your adult guests their grown-up beverages. Perfect for corporate events too! Unit can be used both indoor/outdoor. Call today to make your event the talk of the town! Serve food, drinks, snow cones, etc. from the bar to complete your event!! Keep the kids refreshed on a hot day or to serve your adult guests their grown-up beverages. Perfect for corporate event too! 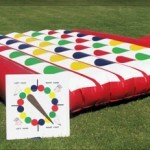 Our Giant Twister comes with the spinning board as shown. Let the kids have a blast with this fun, energetic game. It’s nothing like seeing the kids or adults having a twisted fun time!! This unit may be picked up w/ customer self pickup order. 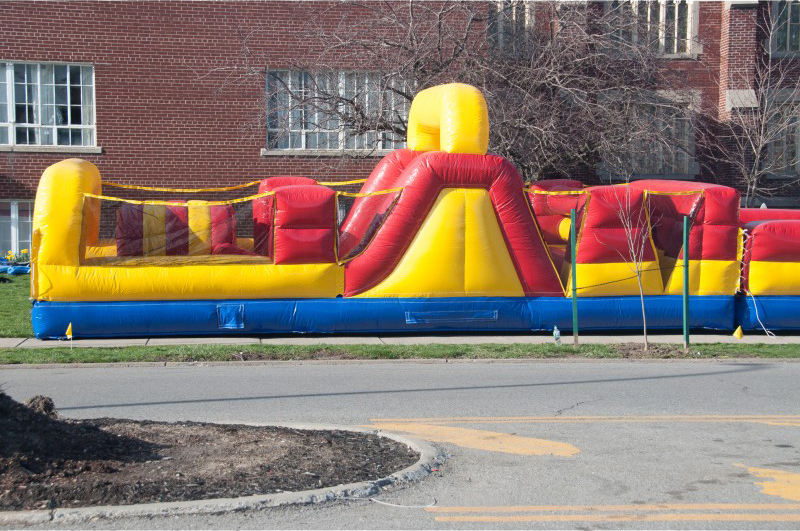 Keep the kids excited and busy on our 30ft Obstacle Course. Great for competitive play and team building. Let the kids show their strength while they have a blast. Great mix-up if you’re looking for something other than a bouncer. Grab a partner and take on the Interactive Challenge. Two players race the clock to see who can tag the lights the fastest for the WIN! The system tracks the players scores as the time runs out. This unit is great for all events- competitive, team building, sporting events, corporate events, backyard parties and more!! May also be played in a non-competitive mode for the younger players who just want to have a bit of FUN!! Includes all parts/balls needed to play the games. 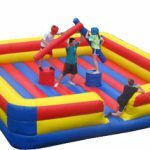 Get ready, using the provided over-sized inflatable boxing gloves and head gear to enjoy ‘play boxing’ safely inside this inflatable bouncy ring. The Bouncy Boxing Ring can also be used by smaller children for jumping. There’s something for everyone to enjoy with this fun interactive bouncing ring! Bring the joy of a bouncy house together with the world of boxing. 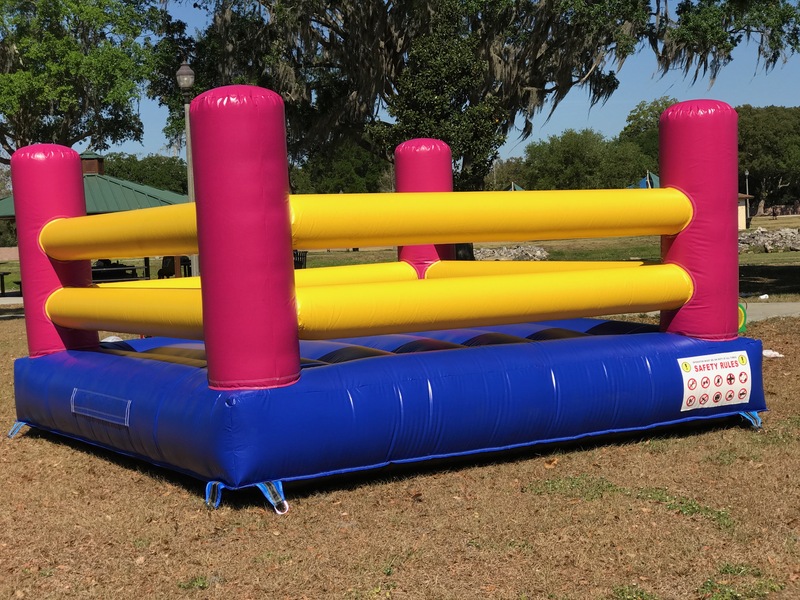 Participants can experience a few rounds in the ring with this inflatable play unit, offering a comical and entertaining take on the sport. Draw plenty of action at any event or party. 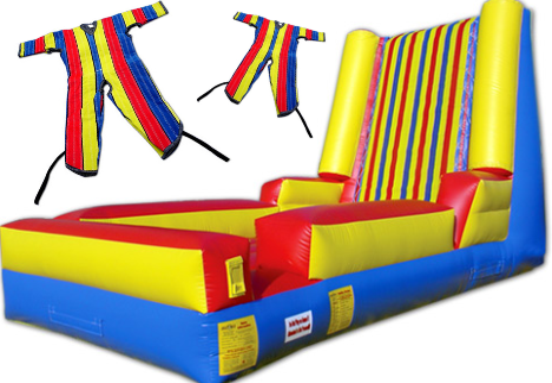 Jump and stick yourself to this giant Velcro Sticky Wall wearing our furnished Velcro Suits. It’s a blast, you will enjoy telling all your friends all about it! Comes with different sized suits that fit just about anyone ages 7 and up. This Velcro Sticky Wall is great fun for birthday parties, fairs, family reunions, youth groups and more! Our Extreme Rush Obstacle Course brings the challenge to the table. Race through, under and over pop outs and tunnels, then climb up a rock wall and make you way down the double slides. Bring the excitement to your party with this all time favorite unit. 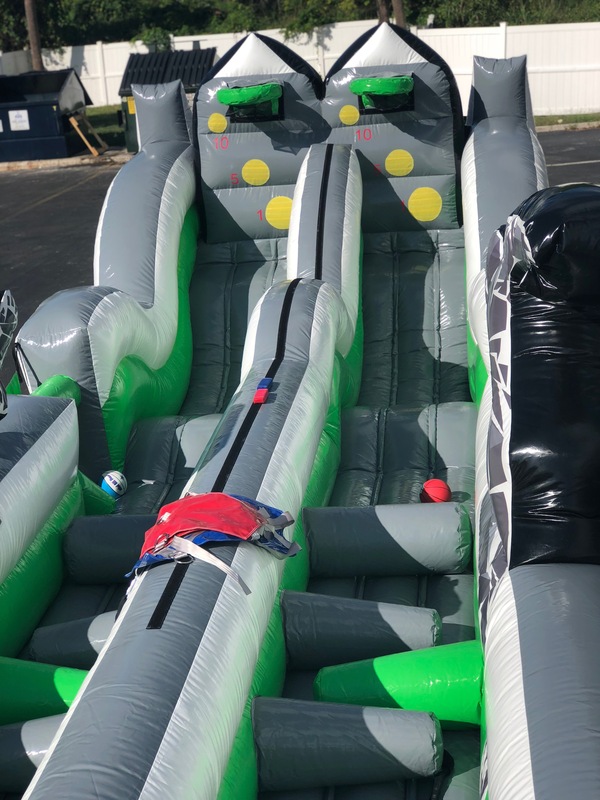 The 3N1 Bungee Run Challenge is one of a kind, with foot obstacles to run through and basketball hoops; Enjoy three different game functions for an all around fun time. 1: Baton Challenge – both participants have a velcro baton. The challenge is to see who can run the furthest and fastest to stick the baton as far down the center wall velcro strip as possible. 3: The final challenge is the Human Bungee Darts. The challenge is to see who can run to the back wall with their velcro baton and stick it to a scoring circle first. The person with the highest score and fastest speed is the winner. It’s Gladiator Joust time!! (2) Players compete at a time as they attempt to knock the other off of the pedestals. This is definitely a game for our action seekers. This game offers physical but safe fun!! Includes (2)Head Gear and (2)Joust Poles, which are cleaned and sanitized after each use. 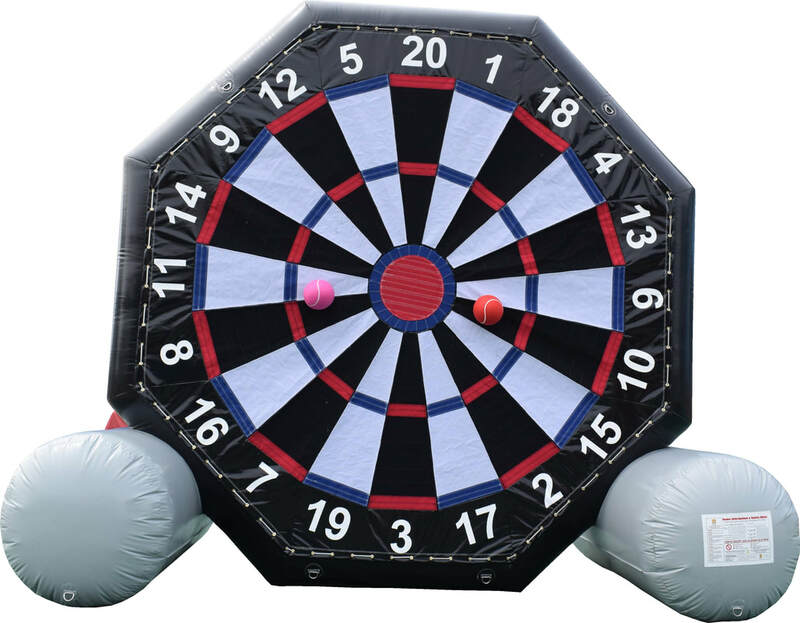 The Dual Sided Soccer Darts Game is one of the most popular games on the market combining the popular throw darts and soccer into one activity. Take turns kicking your soccer ball and try to outscore all of your opponents. Standing 10ft high, the young ones and adults will enjoy this competitive game!! Play on both sides at the same time! Soccer Darts on one side / Baseball Darts on the other side. Velcro soccer balls included. Make the party a non-stop fun zone by combining our Modular Combo and 30ft Obstacle Course together. Units may be setup separately or together, providing several feet of play. Start at the opening of the obstacle course, ending at the exit of the slide.